Ever since he crossed the line of rap mogul to international businessman, Sean "Diddy" Combs has been trying to change his image. For the past few years, he has stayed out of the way of the law. It does not look good on Combs if he is in and out of jail. With a change in his lifestyle comes a change in his family's lifestyle. Last January, Diddy changed the life of his second son, Justin. 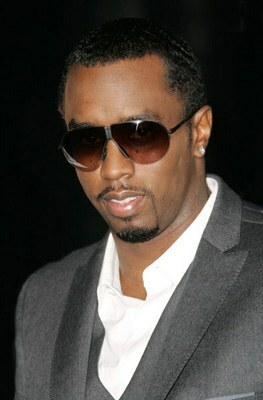 For his sixteenth birthday, Diddy gave his son a 2009 silver Maybach, which cost over $300,000. In addition to the car, Diddy also gave his son $10,000 to open a bank account. The entire birthday bash was featured on MTV's "My Super Sweet 16." Some people questioned if the young Combs could handle all of the gifts. People in his situation tend to be spoiled brats. Justin Combs proved to be a little different when he donated the $10,000 to the Haitian relief. Still, Diddy came under a lot of fire for giving his children such expensive gifts. Recently, Diddy hit back at the critics on "Nightline." When the question came up about the gifts he gives his children, Diddy said whatever he gives them is the right thing for him to give. Because his children love him and because of his relationship with their mothers, Diddy feels it is his business how he raises his children. Despite being rich, Diddy said he has taught them the necessary values they need to know in order to be productive members of society outside of his wealth. Because of the values he has instilled in all six of his children, he feels they can handle any gift. In his mind, size does not matter because the Combs kids will accept it and handle it, big or small. Diddy said he gave his son an expensive car because he wanted him to have it. He wanted to end the story there because it is his business why he did it and not the business of anyone else.